Every day is a good day to show Rihanna appreciation, but on Monday, it was Colin Kaepernick’s turn. Over the weekend, while a substantial (and unfortunate) portion of the country partook in many a dip and watched many a punt during the Super Bowl, Rihanna Instagrammed herself on a plane looking characteristically unbothered. “How can we watch super bowl on the flight?” the singer and beauty mogul captioned the video, quoting a fellow passenger. She added, “Me:” paired with a spectacularly unimpressed expression. 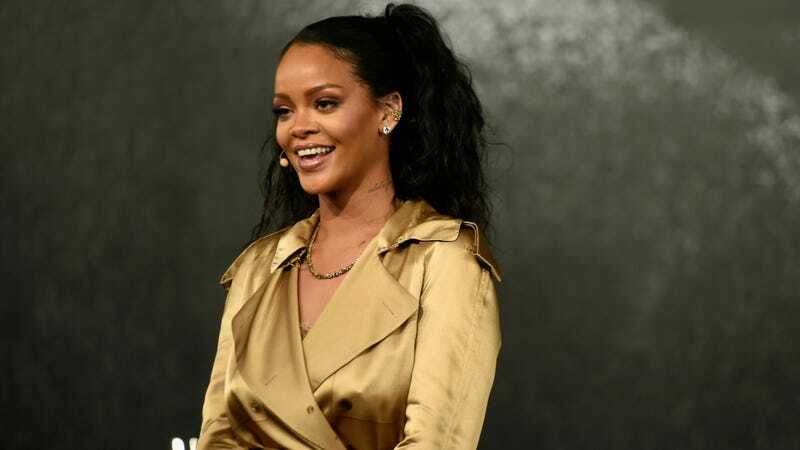 Rihanna, who reportedly turned down the halftime performance for this year’s game to show support for Kaepernick, followed up the videos with an image of the former quarterback taking a knee. “For those of you who thought I was watching the Super Bowl, we beefin’,” she wrote. Now, I didn’t watch the Super Bowl myself, so I can’t say with 100 percent accuracy that Rihanna’s videos (lasting a total of 90 seconds, maybe?) were more entertaining than all eight hours of that wretched game, but if there’s one hill I’m willing to die on this early in the year, it will be that one. Of course, Rihanna wasn’t the only black performer to refuse the halftime show this year. Cardi B also turned down a chance to perform alongside Maroon 5 this year to support Kaepernick. “I got to sacrifice a lot of money to perform. But there’s a man who sacrificed his job for us, so we got to stand behind him,” Cardi said in the Friday leading up to the game. She performed elsewhere in Atlanta during Super Bowl weekend. Mary J. Blige and Andre 3000—who refuses to give you an Outkast reunion as long as you shall live—also reportedly turned down the halftime show this year.